There was a line in Declan Kearney’s Nolan Show interview yesterday which can only be fully appreciated when written down. Under pressure to explain Sinn Fein’s multiple positions on holding a fully public inquiry into the RHI scandal, the Sinn Fein chairman said: “The danger with a prolonged public inquiry is that it will let people off the hook who have answers and information that are absolutely central to getting to the bottom of this scandal”. It takes a certain perverse logic to argue that the most rigorous form of inquiry which is possible under British law – a full public inquiry – would “let people off the hook”. Sinn Fein is clearly under enormous pressure from many of its own supporters to support the most robust inquiry possible. The party is right to say that a public inquiry would be longer and more costly than a smaller investigation – but that is precisely because it would be far more rigorous. Some people watching on are instantly assuming that the party’s remarkable reluctance to do so is because somehow or other either Sinn Fein is culpable for the RHI scandal in some way or some of its members are among those abusing the scheme. While that is possible, a more likely explanation is that the party has taken a strategic decision (albeit one which it has poorly communicated, even internally) to use this crisis to press the DUP for concessions in other areas – perhaps on the Irish language or inquests into Troubles killings. And, while some republicans dislike Arlene Foster’s robust actions in several areas where the DUP has been seen to win at Sinn Fein’s expense over recent months, the alternative DUP leader will not necessarily be more to republicans’ taste. So what is the inquiry which Sinn Fein and the DUP are so strongly opposed to? The Inquiries Act 2005 sets out far-reaching powers for any public inquiry set up under it. The legislation would enable the chairman of a public inquiry the power to compel any witness who he or she believes has relevant information to attend – something critical to getting those abusing the scheme and those who set it up to give evidence. The inquiry would also have the power to summon documents – which opens up the possibility of requests for bank statements being compelled if there are specific allegations of corrupt payments. And it would have real teeth, with jail terms for anyone who refuses to give evidence or who “wilfully alters, suppresses, conceals or destroys or refuses to produce any book or document” requested. Evidence could be taken under oath. 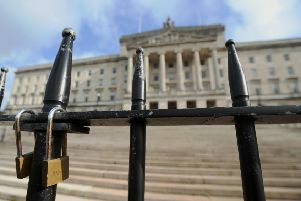 One of the few powers explicitly ruled out by the Act would be that the inquiry could not compel documents in the possession of Whitehall departments. Fascinatingly, the Act appears to allow any Stormont minister to set up a public inquiry under its terms. That leaves the independent Justice Minister, Claire Sugden, in a position of power far beyond her mandate. Although it would be novel for a minister to set up an inquiry into issues outside the control of their department, it does not seems to be explicitly ruled out in the Act, and the allegations that there have been corruption in the RHI scheme arguably could bring it within the remit of the Justice Department. But even if she did not want to go down that route, Ms Sugden – whose very presence at the Executive table is critical to it surviving – has the political power to insist on a public inquiry as the price for her continued participation in the Executive.